This hostel is over 200 years old and has a lot of history. 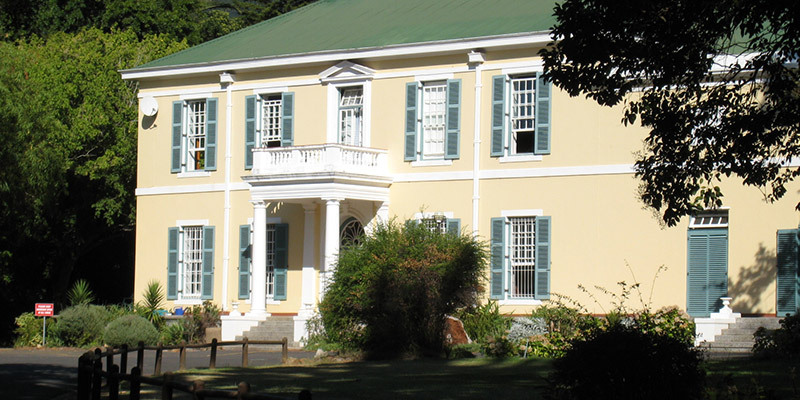 It has been owned by the Cloete, Ohlsson and Michaelis families in the past. The backdrop to this hostel is Table Mountain and has seen many boys pass through its doors. Currently it is our junior boarding establishment and can accommodate up to 45 boys. It is a boarding hostel for grade 8 and grade 9 boys. This home comprises of six dormitories which vary in size from having 5 beds to the larger rooms which host nine boys. Students who live here eat in our senior hostel, Rosedale. Entertainment for the boys occurs in the tv – lounge which hosts a pool table which has become most popular amongst the students. Cricket and soccer games take place on the lawn in front of Michaelis. We also have a computer room which the boys have access to when needing to do school projects. Michaelis House is a home away from home for students who otherwise would not be able to attend due to residing far away from SACS.